Price includes a FREE 4-color process imprint on a white 25-sheet non-adhesive pad. To add a FREE stock background, please be sure to specify the background name on your order. For available stock backgrounds, please visit www.bicgraphic.com and click on Mouse Pads. 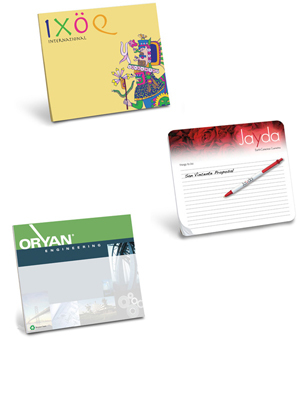 *Paper Mouse Pads are made with paper stock containing 30% post-consumer recycled fiber. Paper is collected from homes, schools and businesses for recycling.